A family that plays together stays together. When the entire family gathers during holidays or festivals, it is the time to eat special food, play family games, click lots of pictures and carry the memories back. It’s the time to host an entertaining game night for the family because games are a fun way to bring everybody together. MomJunction gives you several family game ideas to generate abundant laughter and create lasting memories. Be it kids or adults, everyone is thrilled with the idea of playing exciting games. 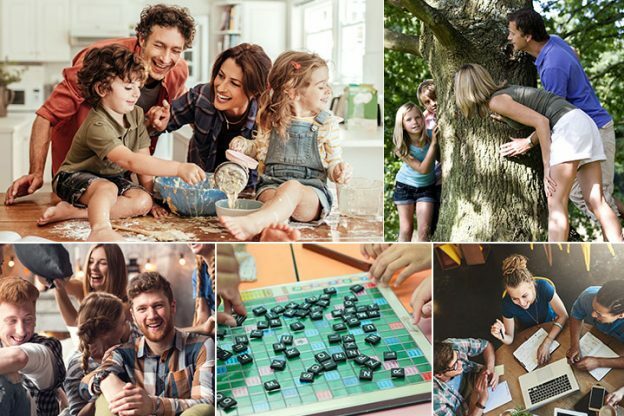 So, don’t miss the excellent opportunity to bond with your family while playing these amazing family games. You can play these games when the night is cold or it is raining outside, and even when the climate is pleasant! This game will bring a riot of laughter in the room. The challenge here is that the players cannot use their hands to make the shape. Players have to form a letter in the alphabet or number with the noodle by just using their tongue and lips. You may give a time limit to make it more interesting. If the number of participants is more, make it a group activity by asking each team to do a short word instead of a single letter. This family game is sure to get the creative juices flowing. The first player writes down the first line and folds that part of the paper horizontally. He/ she has to write only a couple of words in the second line and pass it on to the next player. All the subsequent players have to guess the previous line, complete the incomplete next line, and then add a couple of words in the new line before passing it on to the next player with the previous sentences folded and covered. Once everyone is done adding their creativity to the paper, unfold the paper to get the final story. The final story will be a hilarious, wacky tale. This is one such game, which is sure to reveal all the secrets of the family. Write down funny questions on the pieces of paper, fold them and put them in the big bowl. For instance write questions like, Never Have I Ever danced in the bathroom or Never Have I Ever tasted dog or cat food. All the family members can sit in a circle, with a shot glass in their hands. Each player gets to ask one question at a time and whoever has done that particular thing has to take a shot. The fun starts here as you take more shots! An absolute fun version of hide-n-seek is here for your family game night. Divide the players into two teams and choose team captains. The team captain gets one whistle and a stopwatch. Set a spot as the base camp and also set fixed boundaries. The first team sets their stopwatch to say 3 minutes and gives time to the other team to hide, ideally in pairs. Once those 3 minutes are over, the team captain has to blow the whistle, and the team begins the hunt! The challenge for the hiding team is to return to their base camp without getting caught by the hunters. If any hunter catches a player, they have to become a hunter too. To win this game, the hiding team along with their captain and majority of the team, must return to the base camp and blow the whistle. “Art is anything you can get away with”. – Marshall McLuhan. This is a game worth trying this holiday season. One member draws any random shape on the paper. Passes it onto the next person, who has to add his/her imagination to the given shape. Continue to pass the paper till it reaches the final player. The result will be a funny looking shape or maybe even art. Bring the bowling alley into your living room and see how interesting it could be. Use the water bottles as pins. Mark a bowling lane with towels or bed-sheets rolled up. This family game is not only super fun but also quite tiring. Mark start and end points in the living room. The player will start at the start point and reach the endpoint without stepping on the floor, pretending that the floor is hot lava. Jump from couch to couch, table tops or on the chairs lying around. The player who steps on the floor loses the game and the player who stays off the hot lava for the longest time or reaches the destination fastest wins. Minute-to-win-it are games that can be played with most objects readily available at home. Here we have given one example of such games. You may try several others. Players have to place a cookie on the forehead. Move it into their mouth without using their hands. The timer keeps buzzing, and players have to finish it within one minute. This is similar to hide-n-seek but more fun to play when your family is having a game night party. One person has to be the seeker while others go and hide. When the seeker comes close to anyone hiding, the hiding person must scream and scare the hell out of the seeker, just like a devil would do. Click lots of pictures while playing this family game, to cherish the memories later. Fill up the bowl with flour. Close it with a plate and turn the bowl upside down to form the shape of a cake. Place one piece of candy at the top of the flour cake. Every family member starts cutting the flour carefully by taking turns. Make sure you are cutting very thin portions. When a player causes the flour cake to fall, he/she has to fish out the candy with their mouth. No using hands! Let those sitting on the couch, unwilling to join in the fun, be tempted to play this game. Divide your family into teams of two. Every member of the team has to make an effort to get all the team members on to the same couch. If you think it’s easy-peasy, lemon-squeezy, it’s not; the members of the opposite team will be pulling you down, not letting you win the game so quickly. An enjoyable family game, sure to get everyone cracking up! Make all the family members stand in a circle and choose one of them to be the spy. Send the spy out of the room and while he/she is out, select one player to be the secret dancer. Everyone has to follow the moves of the secret dancer and start dancing. The spy has to come in and guess who the secret master dancer is. The secret dancer has to keep changing the moves and the spy has a maximum of three guesses to find out the dancer. Outdoor games help us reduce the stress levels. Playing these fun games, you will feel refreshed and rejuvenated. And outdoor games come with the bonus of free access to vitamin D.
Play it on the beachside and let the players unleash their creativity. Divide the players into groups with a mix of children and adults. Distribute the tools, sand, and buckets equally among them. Set a time limit of 45 minutes to one hour. Ask each group to build a unique castle – beautiful, funny, tall, wide… let them use their imagination. Be ready to get drenched in this outdoor activity. Fill the balloons with water. Tie them up with a string and hang them to a climbing frame in a park, a tree or any hanging roof. Blindfold the player and let them start beating the pinata down. Scavenger hunts can be played by groups of any size and definitely make for an epic game night. Hide all the scavenger hunt items in different corners of the house, inside and out. Then leave clues to find these items. Players have to make use of the clues and begin the hunt to find them. The player who finds the maximum items within the specified time wins the hunt. Get going with your head and see how well you are focused. Start bouncing the balloons with your head. The challenge in this family game is that you cannot use your hands. Whoever can bounce the balloon for the longest time wins the game. Board games are ideal for families who have a mix of aged and young people. 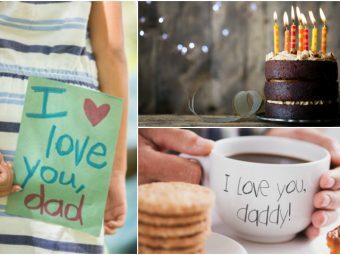 Everyone in the family can gather in the living room to play these games. Families are like puzzles. They fit together in a certain way, and if one piece is missing, it throws everything off. – Richard Schiff. Solving a puzzle is a lovely way to spend time with your family. It not only nourishes the relationship but also helps build a strong connection among the members. Grab a puzzle of any size — large, medium or small — and sit with your family to solve it together. This family game is a traditional favorite. Having a timer to keep the clock ticking and maintaining the scores adds fun to it. The players have to divide into teams of two each and start building a crossword puzzle by using one letter at a time. It’s ideal to have players of the same level of skills in all the teams. This board game is perfect for families who love science, technology and are space junkies. The entertaining game has an engine builder to work on projects and innovative ideas. The players have to primarily work towards making the planet Mars more habitable for living beings. If you have some more time to spare, you may try these easy-to-play and super entertaining games. This game needs things that have a firm surface to hold. Divide the members of the family into two teams of equal numbers. Start stacking things one above the other. Whichever team builds the tallest tower in a minute, wins the game. It’s an interactive and enjoyable way to get to know more about your family. State three statements about yourself. Only two of these statements are true and one is false. Your family has to guess which of them is a lie. Your family is sure to burst into laughter once they know the outcome. Make sure some distance is maintained as the whispering should not be audible to the other players. The player who begins the game has to whisper a sentence or a phrase into the ears of the next player. The second player has to pass it onto the next player and so on. The last player says it out loud to compare it with the actual phrase spoken by the first player. Instead of watching a movie together, enact your favorite scenes and dialogues through this game. Write down your favorite quotes from various movies (you may select a genre too). Write the name of the film at the bottom of the paper. One person from the family can read out the quotes. The remaining members have to guess the name of the movie. Whoever gets the maximum answers corrects wins the game. This game is similar to the spoon-and-lemon race, but with a twist. The game is about telling a joke while holding a spoon with a lemon in the mouth. You can also play this game with a small ball on the spoon. If you think it’s hard to tell a joke with a spoon in the mouth, then imagine how hard it is to control the laughter. The Ellen DeGeneres Show has made this game very popular. And if you think it is not difficult to list three countries that start with the letter A or naming three rivers, trying doing it under 5 seconds. Two players can play it together. Another family member has to ask questions and also check the timer. Whoever gets the maximum right answers within the five seconds time-limit wins. Games are a fabulous means of having a gala time with your family. These are the times when memories are made, which last a lifetime. Which of these games is your favorite? Share your experiences with us in the comments section below.